A cup of coffee. A crisp fall day. A smile from a friend. A parent’s hug. 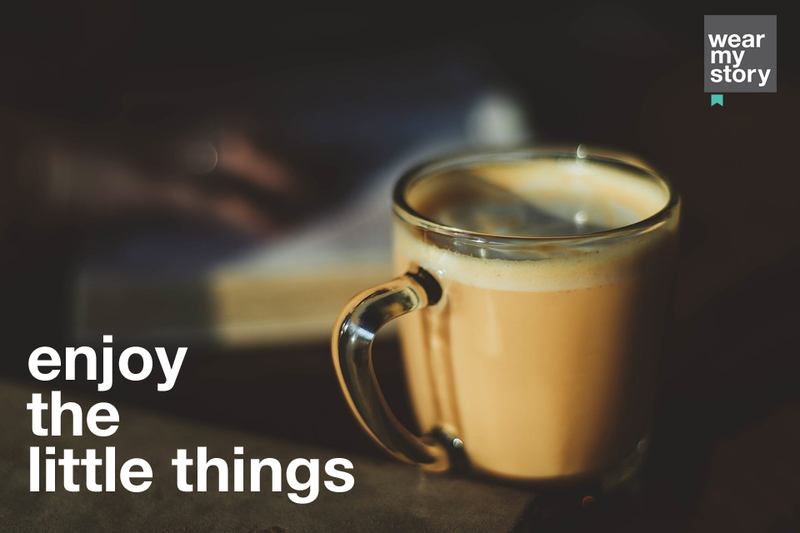 What happens when we enjoy the little things? What happens when we slow down and take a breath. When we aren’t worried about our 5 year plan, our college entrance exams, our rung on the popularity ladder, or if that boy or girl will go out with us, we might, just might have the chance enjoy the little things around us. But, why does this matter? Let me share a verse with you from the Bible. For God is the one who provides seed for the farmer and then bread to eat. In the same way, he will provide and increase your resources and then produce a great harvest of generosity in you. Now, whether you are religious or not, I think there are some principles here that are not just for Christians, but are for all human beings. A few years ago, President Obama made a bit of a controversial remark when he said, “You didn’t build that.” Now, Republicans were all up in arms because it was in heat of the 2012 election campaign. But the point of the President was pretty clear – no one makes it alone. Everyone needs help. We all need each other. If you look at the Corinthians verse, the same logic is present. However, in this case, the Christian author, Paul, is saying that God is the provider. You can’t do it alone because God is always there. He provides seed for the farmer, which leads to bread for the farmer and others to eat. Now, what is interesting is that when the farmer recognizes that the seed is not from him. When he is grateful for the seed, he is more likely to be generous. This brings me to my second point – giving to others is a good thing. Again, whether you are religious or not, it is general human acceptance that selfishness is not a virtue. And in fact, we are here to help make the world a better place. Call it social justice. Call it, paying it forward. We need to help other people. This was the teaching of Jesus. This is the teaching of many other religions as well. Help each other. Love one another. So, let’s tie it all together. How does enjoying the small things help us love other people and make the world a better place? Simple. When we take the time to enjoy the little things like smelling a flower, enjoying a sunset, going for a run and being thankful for your legs and the air to breathe, learning a lesson, savoring a meal, any and all of these things can lead to a grateful heart. And when our hearts are filled with gratefulness, it is so much easier to be generous. We are like a cup that is filled, but not half way. We are filled to the top. And when our cup is full of gratefulness, when we enjoy the small things, that joy can spill over on those around us. So, I hope you take time to enjoy the little things today.